Working on a 24 string 48 node matrix. Using a pixie16 and Pixie 8. Power supply question... Using 12 volt strings. I can set up the software to be at 50% which will use half the amps/watts. So can I set the software at 100% and turn the voltage down to 6 volts and have the same result. This may be a dumb question...... trying to figure out what power supplies to buy. You reduce the AVERAGE power by setting to 50%. The AMPs are still there, just for short bursts. Matter of fact, I set my voltage UP to 12.7VDC ( safe, even with no load) to compensate for voltage drop in the strings. For a matrix you can get by with 2 - 350W PSU's. Let me find my build thread or my picture and link it. I have the dual pixies dual psu's on my first matrix. The problem you may face is finding an enclosure large enough to fit everything. I found mine on ebay and it has a lot of room. I prefer not to have anything external to my controllers with the exception of the cables. My second dual pixie Controller uses 1 750w psu. It’s a huge psu. The one mentioned above with 2-350’s hasn’t had any problems controlling the matrix and like you we have had horrible rain for the past 2 years esp 2018. Record breaking. I worry more about heat. We had very few evenings in the low 30's,some barely got out of the 50's. My area only got slightly above normal rain, unlike the poor folk in the north bay area. Never a problem about heat esp with the pixel controllers. We are also in a pretty warm climate esp with the Halloween setup. I think Jim is in your area. For some reason I was thinking you was in FL until just looking at your info. 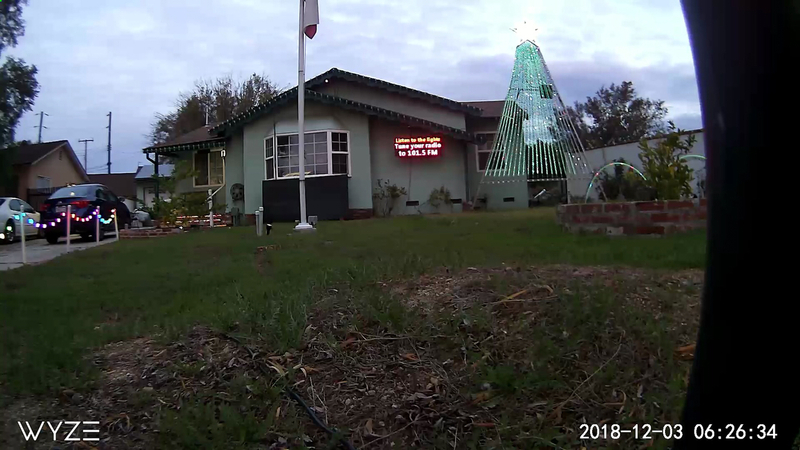 For 2018, my pixel tree had a 12 x 12 x 6 PVC electrical box with four 350 watt power supplies (3 x 12V and 1 x 5V). I had a temperature monitor probe in the box and heat was a problem - not from the power supplies, but rather from the sun. I had painted the box flat black so it would not show as much at night, but in the sun, it got quite warm. Had to add some ventilation for the box. The power supply is the square box on the right side of eh tree about 2/3 of the way up.